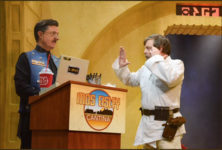 VIDEO – Mark Hamill cantina scene, featuring some of our costumes on the Late Show with Stephen Colbert! We’ve been lucky to work with the great folks over at the Late Show with Stephen Colbert several times now (some examples can be found in that link). 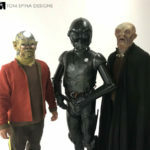 We’ve also become known for our authentic Star Wars cantina costumes which have been featured in videos, commercials and official Star Wars events. Naturally, when we heard about this Mark Hamill cantina sketch, we were very excited to be just a small part of it. We’re huge Mark Hamill fans and we even got to make a custom mannequin for his original Star Wars Luke Skywalker costume a while back! The show used a pair of our costumes. The first was a blue Tonnika Sister bodysuit with classic braided beehive wig and boots. 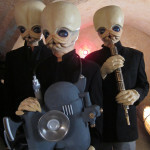 The other, a full cantina band member with instrument prop, custom latex mask and hands. Best of all, they used a few of the pouches from our rental stock to fill out Mark Hamill’s classic “A New Hope” style belt. Great credit to the crew at the show for making Mark’s costume (and the other characters) and building a really killer set. 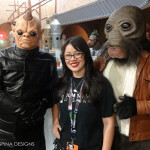 They even captured details like the lighted “SPGA” logo which was revealed by Tom and Lucasfilm’s Pablo Hidalgo at their famous Star Wars Celebration Behind the scenes of the Cantina panels. 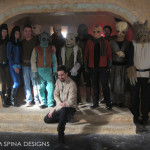 Need creatures or costumes for your next production? Email or call today and let’s discuss your project! Love Stephen Colbert as much as we do? 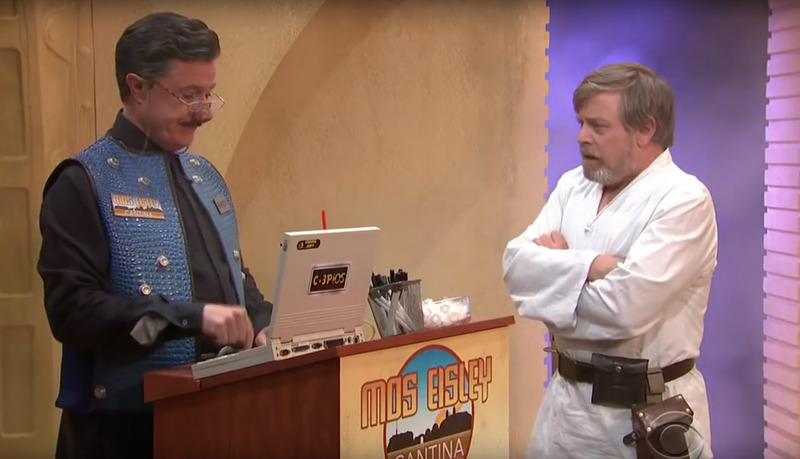 Check out some of his best Colbert Report moments here! 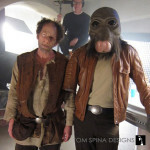 Watch the comical cantina scene here!